E-Bay Listings - Computation Ltd.
Each week we list several items on the number-one online auction site on the internet. We strive to give our items a detailed description and pride ourselves on our excellent user feedback. Payments by PayPal are preferred for items to be shipped. For local pick-up we also accept cash, debit, and credit card payments. 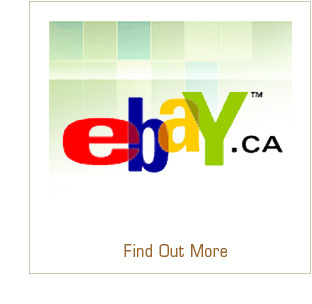 Ontario residents are required to pay 13% HST on all eBay purchases; residents of Canada outside of Ontario are required to pay 5% GST or the HST applicable to your province. International buyers are responsible for the cost of shipping and handling, and any applicable local customs, duties, and taxes. We offer pick-up at our store for eBay auctions from Monday to Sunday, from 10:00am to 7:00pm (Saturdays and Sundays until 6pm) — please let us know when you plan to make your pick-up. We clean and package all items before shipping. Shipping is via Canada Post for typical domestic packages and UPS for large domestic packages, and medium to large international packages. The buyer is responsible for additional international shipping charges that may occur after the item has been sent. Check out our eBay auctions!